When you need junk removed and disposed of, time is of the essence. You don’t want to have to spend a lot of time searching for junk removers near you that offer reasonable prices and same or next day services. Unlike larger junk removal companies in Columbus, we pick up your junk within 24 hours of your request, allowing you to check it off your to-do list and focus on more important matters. From curbside pickups to whole-house junk removal, we remove junk quickly and efficiently. Use our junk removal services to clear out rental units, storage units, and other messy spaces. In addition to general hauling services, we also remove old sheds and other small structures. Getting rid of stuff you don’t need can be a hassle. 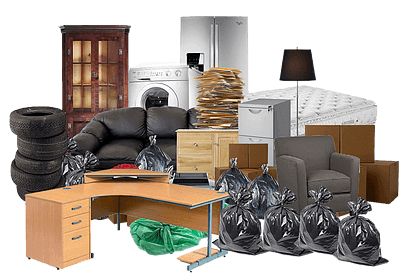 You want a Columbus junk removal service that knows how to take charge of clean-out or cleanup situations, leaving behind nothing but empty space. To get started, simply book an appointment for junk removal services; give us an address where we’ll be removing junk from, and we’ll arrive on site quickly and get you squared away. Right on time, our conscientious haulers will arrive to clear your rubbish. They’ll load it; sweep up thoroughly, haul it away, and dispose of it all responsibly. Getting rid of junk couldn’t be easier. Your presence isn’t required for curbside junk removal projects. Just let us know when the items to be disposed of are outside and ready to go: You can pay over the phone when you return. Anyone who needs junk removal services will no doubt want to work with a team of experienced professionals — that’s us! Our junk removal company has been doing business for over 20 years – we’re reputed as one of the best junk removal companies in Columbus to work with. Book our junk removal services! Call or email us for junk removal prices or to book an appointment!